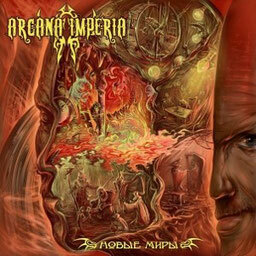 Metal band ARCANA IMPERIA from Moscow, Russia, was formed in March of 2005 by bassist Alexey and guitarist Evgeniy. In 2006 vocalist Darvit and in 2007 keyboardist Olga joined the band, they started the recording of the debut album "Hymns Of Infinite Decay". It was self-released in 2008. In 2009, the members of the band make a decision to create their own label entitled "After Death Rec." and release the second album under it. Now the third full length album in Russian "Новые Миры" (Novii Miri) was released in spring of 2012. 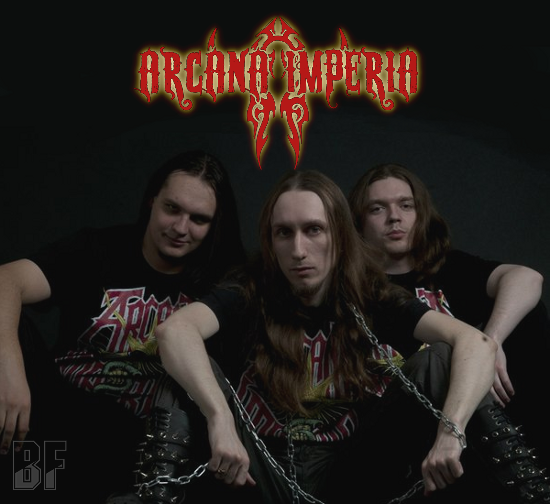 So far ARCANA IMPERIA has been having many gigs with many Russian metal bands in black, death, doom and thrash genres. The band has performed at the international festival in Ukraine Global Promotion fest with such as Crematory, Diary of Dreams, Graveworm, Epica, Ensiferum, Kingdom Come, Kreator, Motorhead, My Dying Bride, Sonic Syndicate, Tarja Turunen and etc. Also they played with Brazilian legends Sepultura, Krisiun and Norwegian black metal band Pantheon I.